Thousands of international students apply to study law in the USA every year. But how do you know if a school is right for you? It’s easy to apply based on rankings, but without visiting the campus or understanding what the school and location offers it’s impossible to know if it’s where you’re meant to be. This guide provides a simple breakdown of the top institutions in the US and how to choose where to study law. When looking at law schools some of the most sought after institutions are located in the northeastern region of the US; many Ivy Leagues like Harvard, Yale, and Columbia, are located in the northeast and are considered the best in the country for a degree in law. The benefit of attending one of these schools is that they are internationally recognized as some of the best in the world for almost any subject. Graduating from a well-known school in this region automatically gives you an advantage when searching for a job in law. Many of the world’s top politicians, academics and lawyers come from a background of studying law at a northeastern institution. Harvard for example is not only in the top 10 schools in the US, but it ranks at number six in the world on average and is host to many students from around the world. The region has some of the oldest law schools in the country, including NYU founded in 1835. This means that partnerships with law firms and support from alumni are well-established, and attending one of these schools provides you with opportunities that are much harder to access in other states. Several of the top law firms are located in New York City, Boston, Washington D.C. and Philadelphia, making the northeastern region of the US a great place to find internships and shadowing opportunities as a student. Networking and references as a student can have an influence on a law firm’s hiring process. When attending a school in the northeast you will have plenty of opportunities to establish connections and start paving the way for a successful degree in law. Law is a competitive and prestigious degree; therefore, it is important that you prepare yourself before looking for the right school, so you know what to compare. Most well-regarded law schools are extremely competitive and expensive. When you graduate from a reputable law school you will be highly sought-after by employers in some of the top law firms, which explains the reason for such high standards in law degrees across the US. The most reputable law schools by ranking consist heavily of Ivy League institutions. Yale University, Stanford University and Harvard University are considered the giants of the law world, and are the most competitive to get into. Only students who have scored in the highest-percentile in the LSATs, who have good grades in their undergraduate degree, and who have experience, such as a law firm internship, should consider applying for a place in these universities. However, if you choose to study law in the US, it’s full of great opportunities, with many of the most well-recognized law institutions in the world that you can gain experience from. Many of the top schools are in the north of the country, but there are opportunities to study law across the US. The top 10 law schools in the US have similar entry standards and tuition fees, but vary in terms of career opportunity. 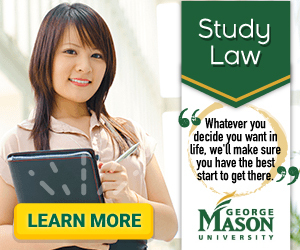 Where you choose to study will likely form the basis for your career in law. If you study in New York, you will be prepared to take the bar exam for New York state; the same goes for any other state you choose to study in. Transitioning from a law school in one region of the US to a career in a different region is difficult as state law varies dramatically, and preparing for the bar exam in another state can be a lengthy and costly transition. The type of law you ultimately want to specialize in also determines where should choose to study; for example, if you want to go into corporate law, Colombia University or New York University (NYU), which rank 5th and 6th nationally, will provide you with the courses and internship opportunities for a career in this field in New York. However, if you choose to study in California there are excellent opportunities in admiralty and maritime law, bankruptcy law, criminal law and taxation law. The University of California - Berkeley ranks at number 9 in the US and offers several specializations for law graduates. It’s important to consider where you want to work as a lawyer once you graduate. There is little point paying high-fees and completing a challenging law degree in a state that does not interest you for your future career, or for gaining hands-on work experience in. Choosing a top institution will provide you with the opportunity to carry out a law internship in a local firm, to network and to gain vital experience for your career in law. If you choose to move after your degree and study for the bar in a different state, much of the hard work you put into your graduate degree will be lost. If you plan to practice law in other parts of the world, like your home country, before you start your degree program make sure you research where you want to practice law and if they accept lawyers with a J.D. degree. With institutions across the US offering degrees in law, it’s important to think beyond the top 10 universities and consider the right choice for you. The top 10 certainly has its benefits, with major law firms turning to these institutions for their yearly graduate intake. However, there are many reputable law schools across the US, and because of the importance of the bar exam, the top law schools in each state will lead to opportunities in major firms within those regions. Which type of law interests you? Which states and institutions offer the best opportunities in your chosen specialty of law? Where do you plan on pursuing your law career? After you have answered these basic questions you can then start exploring schools that help students pursue their dream of studying law in the US. To help you get started, here are the official rankings for the top 10 law schools in the US according to U.S. News & World Report.